Open House is the world's largest architecture festival, giving free public access to 800+ buildings, walks, talks and tours over one weekend in September each year. We are excited to be a part of the festival this year as we're throwing open our doors on Saturday 22nd September from 10am until 3.30pm! Last entry will be at 3pm, with guided tours scheduled every 30 minutes, starting at 10am. Our beautiful group of buildings are centred around a three-storey Georgian terrace, with Victorian additions being made when the Chapel and Mulberry Rooms were built. We were formally opened in October 1889, and our buildings are now home to several community projects. 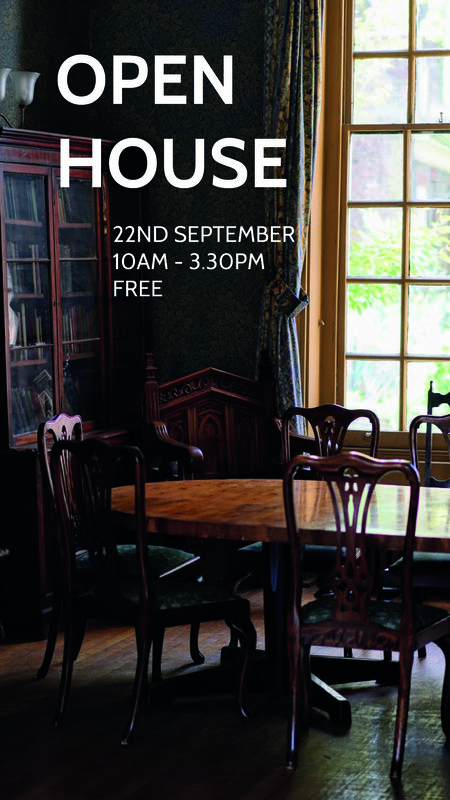 Find out more about the history behind St. Margaret's House by joining in with one of our tours. More details will be posted soon here.